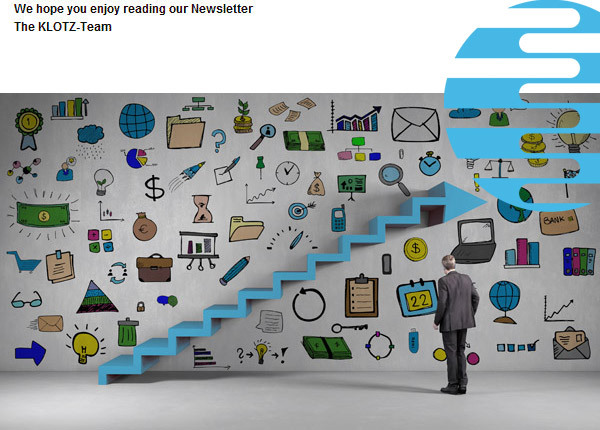 We’re expanding! As demand for our products continues to increase, we’re extending the production facilities at our Vilchband/Wittighausen site by an impressive 1200 sqm. And the premises are not all that’s getting bigger at KLOTZ. Our Modular Interface System (MIS) is also growing. With the new MISS08FX to MISS16FX patch modules, tapping a signal 1:1 on an XLR module is child’s play. 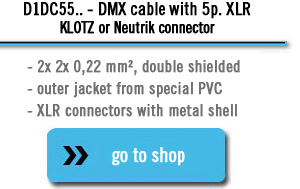 Our D1DC55 DMX Cable is the recommended choice for DMX signals over short and medium distances. All five pins of the XLR connector are wired – it can even transmit two DMX signals over a single conductor! We were very sorry to hear that the outstanding bassist T.M. Stevens is suffering from dementia. 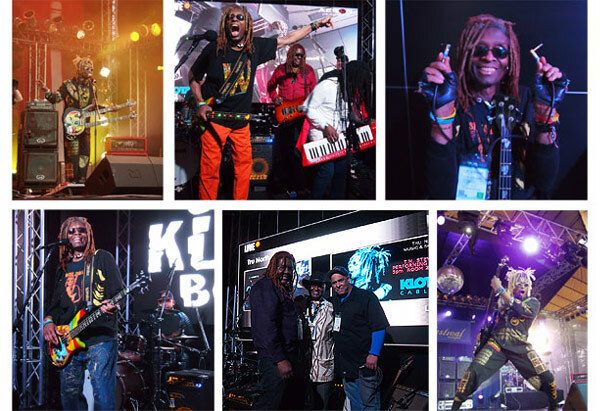 At KLOTZ, we have a very special relationship with this magnificent musician, who worked with us to develop our very first signature cable, the FunkMaster. Our warmest thoughts are with our old friend, and we’re sending him lots of positive vibes and energy! Great news – KLOTZ is continuing to expand! To continue to meet rising demand for our products and maintain our signature high quality, KLOTZ AIS GmbH has decided to expand the production facility at Vilchband/Wittighausen, adding a further 1200 sqm to the existing premises. The new space will primarily house premade cable production, with 18 ergonomically designed workstations over 400 sqm. A fully automatic conveyer will bring the cable lengths to the workstations. Other new equipment will include a semi-automatic packaging unit for fold-over and blister packs as well as a semi-automatic rewinding machine for bulk cables, comprising a coil rack for 18 different cable types, winding head, cable store and cutting attachment. The machine processes the cables into harnesses or onto drums (< 100mtr.). Its special drive ensures the cables are precisely cut to length and carefully processed to protect the material and maximize cable life. Acting on the philosophy of “if we’re going to build, let’s do it right”, KLOTZ is renovating the existing production facility, installing energy-saving windows and completely redesigning the communal areas. Before our products leave our plant to travel all over the world, they spend a short time in our warehouse – which is also receiving 800 sqm of additional space. Our freely configurable Modular Interface Systems (MIS) concept is shown off to its best advantage in these Patch Modules. Available in 8-, 12- and 16-channel models, they are the ideal solution for situations involving 1:1 signal tapping, e.g. from the MIS’ standard XLR modules to a digital stage box. Flexibility of installation was built into the design; the MISS .. FX .. modules can be installed at the front or rear of an MIS-FR2 frame, with a front or rear fanout depending on requirements. Fanouts can be supplied as XLR 3p. F or M in lengths of 0.8 or 1.5 m.
The rack side has 12-pin SIL connectors for direct connection to other MIS modules. At only 21 HE in width, up to four of these patch modules can be installed adjacently in a standard 19” width rack. The cable used is also suitable for digital systems, with a characteristic impedance of 110 ohms. For more clarity, the fanout XLRs can be colour-coded using code rings. Fast, clear and so simple to use – a huge advantage, particularly for professional stage cabling setups where time is money! With a core of balanced, closely twisted pairs, the D1DC55 is not only an interference-free DMX cable with precisely defined transmission characteristics. It’s also ideal to transmit two DMX signals over one cable, as all 5 pins of the XLRs are wired up! The signals can be split as required using an adapter. The rugged design, with jacket of durable special PVC and shield of tinned braided copper plus foil, ensures smooth, flawless performance and optimum EMC rating. 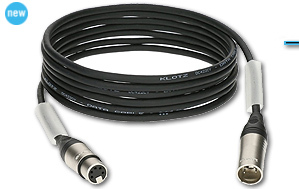 The DMX cable is made up with KLOTZ 5-pin XLR connectors. T.M. Stevens was the bassist behind that famous intro to Joe Cocker’s “Unchain My Heart”, but much more besides; he can also be heard driving countless more hits with his dynamic bass lines, and worked with such giants of the music scene as James Brown, The Pretenders, Tina Turner, Cindy Lauper and Billy Joel. Unfortunately, the outstanding New York bassist has now been announced as suffering from dementia, cutting short his career. He was found in critical condition at his home, and taken to a care home by friends. According to reports, a return to normal life or even stage performance appears to be out of the question. At KLOTZ, we have a very special relationship with this magnificent musician and great person. Our first contact with T.M. Stevens was at the end of the 1990s, and quickly inspired us with the initial idea of developing a signature cable that would carry his name. By 2000 the idea had become reality, and the FunkMaster Cable – designed in close collaboration with T.M. Stevens – was launched. It was our first signature cable, and has remained our top seller. We have had many, many great times with T.M. Stevens, and know him as a warm-hearted, dynamic character with an incredible sense of humour. He has given us wonderful memories of huge concerts, trade show performances in crammed sound booths, sensational roadshows, gigs that sparkled with zest for life, and many warm, human moments on his visits to the KLOTZ Family. This colourful, flamboyant character – a veritable bass-playing bird of paradise – will always have a place in our hearts. Our thoughts are with our old friend, and we’re sending him lots of positive vibes and energy!